Clomid:Clomid is a brand name for the drug clomiphene citrate. It is typically prescribed for women to aid in ovulation. In men, the application of Clomid causes an elevation of follicle stimulating hormone and luteinizing hormone. As a result, natural testosterone production is also increased. This effect is obviously beneficial to the athlete, especially at the conclusion of a cycle when endogenous testosterone levels are subnormal. When an athlete discontinues the use of steroids , his testosterone levels will most likely be suppressed. If endogenous testosterone levels are not brought to normal, a dramatic loss in size and strength may occur. Clomid plays a crucial role in preventing this crash in athletic performance. Bodybuilders find that a daily intake of 50-100 mg of clomiphene citrate over a two week period will bring endogenous testosterone production back to an acceptable level. Clomid will gradually raise testosterone levels over its period of intake. Since an immediate boost in testosterone is often desirable, athlete will commonly use HCG (human chronic gonadotropin) for a couple of weeks, and the continue treatment with Clomid. Clomid is also effective as an anti-estrogen. Most athletes will suffer from an elevated estrogen level at the conclusion of a cycle. A high estrogen level combined with a low testosterone level puts an athlete in serious risk of developing gynocomastia. With the intake of Clomid, the athlete gets the dual effect of blocking out some of the effects of estrogen, while also increasing endogenous testosterone production. In relation to toxicity and side effects, Clomid is considered a fairly safe drug. Bodybuilders seldom experience any problems, but possible side effects include hot flashes and temporary blurred vision. Clomiphene citrate is widely available on the black market. Until recently, it was relatively easy to get through foreign mail order. However, since the DEA is playing an active role in pursuing mail-order operations catering to athletes, Clomid is becoming harder to obtain. Current prices are between $2-$4 per 50 mg tab. Generics such as Clomiphene citrate by Anfarm in Greece are frequently seen on the black market and can be purchased for about $1 a tab. Nolvadex :This drug is a potent nonsteroidal anti-estrogen. It is intended for use in estrogen dependent tumors, i.e. breast cancer. Steroid users take Nolvadex to prevent the effects of estrogen in the body. This estrogen is most often the result of aromatizing affect of steroids. It can aid in preventing edema, gynecomastia , and female pattern fat distribution, all of which might occur when a man’s estrogen levels are too high. Also these affects can occur when androgen levels are too low, making estrogen the predominant hormone. This can occur when endogenous androgens have been suppressed by the prolonged use of exogenous steroids in combination with cutting of these exogenous sources. Nolvadex works by competitively binding to target estrogen sites like the breast. This drug is not toxic nor have any side effects been seen in athletes who used the drug as an anti-estrogen. 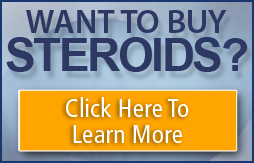 This drug is the most popular anti-estrogen among steroid users by far. Although this drug does not turn out to be 100% effective for everyone, it does seem to exhibit some level of effectiveness for all. It works so well for some bodybuilders, they can take untraditional drugs like Dianabol or Anadrol right up to a contest as long as they stack it with Nolvadex. It would seem wise to take this drug in conjunction with any steroid cycle. Most reported a dosage of 10mg to 20mg daily got the job done. Availability of Nolvadex has been fair on the black market. Women athletes have not found this drug to be of much benefit. HCG:Pregnyl by Organon. 5,000 to 20,000 IU (International Units) per 10 cc vials. This drug is not a steroid but it is widely used in athletics today. HCG is a natural protein hormone secreted by the human placenta and purified form the urine of pregnant women. This hormone is not a natural male hormone but mimics the natural hormone LH (Luetinising Hormone) almost identically. This LH stimulates the production of testosterone by the testis in males. Thus HCG sends the same message and results in increased testosterone production by the testis due to HCG’s effect on the leydig cells of the testis. Normally this HCG is used to treat women with certain ovarian disorders and it is used to stimulate the testis of men who may be hypogonadal. Athletes use HCG to increase the body’s own natural production of testosterone which is often depressed by long term steroid use . Also when steroids are used in high dosages they can cause false signals to the hypothalamus that results in a depressed signal to the testicles. Over a period of weeks of this depressed signal the testicles ability to respond to any signal from the pituitary becomes very weak, which results in testicular atrophy. To avoid this athletes will use HCG to keep an artificial signal going to the testis and preventing testicular atrophy.